Do you know a kid who can’t get enough of dinosaurs? A six-year-old who can recite the names of twenty dinosaurs, their associated era and the way that they died? Yeah, I bet you do. 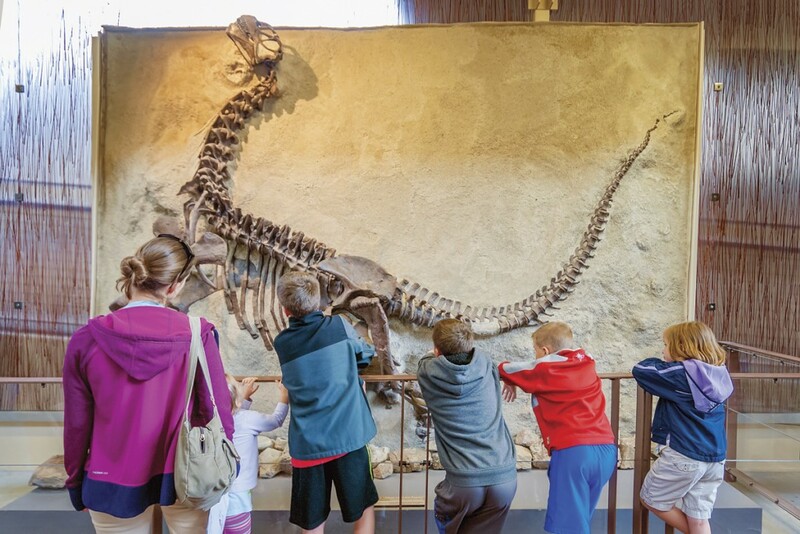 If your kids are into dinos, science or…let’s face it, if they’re kids, they’re curious and Dinosaur National Monument is an epic trip that they’ll remember for years to come. Using “Dinosaur” in the title isn’t a clever marketing ploy, dinos actually lived (and died) inside this national monument. 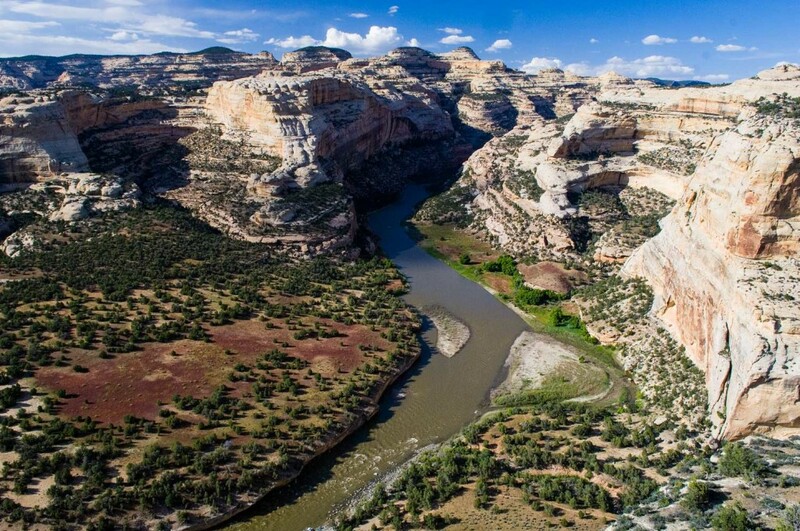 Where the Yampa and Green Rivers now flow, there used to be a much larger river with a giant sandbar. 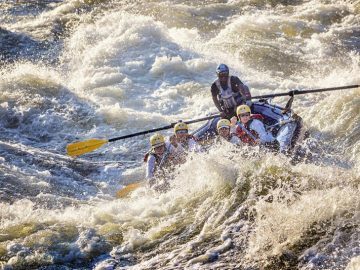 When the dinosaurs started dying off their bodies were washed down river, but got stuck on the sandbar and over millions of years that sand bar became rock, preserving a wide variety of animals in one, very concentrated area. In 1909, paleontologist, Earl Douglass, discovered late-Jurassic fossils in the area and promptly built the Carnegie Quarry to extract dinosaur bones for shipment back to the Carnegie Museum. 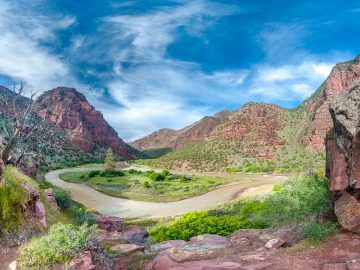 Dinosaur National Monument was initially created in 1915 to protect 80 acres in the quarry area. Today the monument encompasses over 210,000 acres. Check out “The Quarry” at the Monument to see and touch part of this original sandbar and bones that still reside in its layers! Don’t know which dinos lived during the late-Jurassic? Ask the nearest kid holding his Junior Ranger badge and they’ll tell you it hosted dino rockstars like Allosaurus, Brachiosaurus, Diplodocus and Stegosaurus. Take your kids on a dinosaur scavenger hunt through nearby Vernal, Utah and find all the dinos, from the giant pink Brontosaurus on the east end of town to the T-Rex who dresses up for each holiday on the west end. Then head down to nearby Red Fleet State Park to walk in giant Dilophosaurs tracks preserved in the rock or stop by the BLM office to see where you can dig up fossils for yourself. 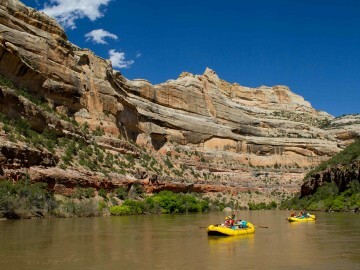 Explore Dinosaur National Monument via raft, bike, foot or horse to penetrate the backcountry and leave the crowds behind. 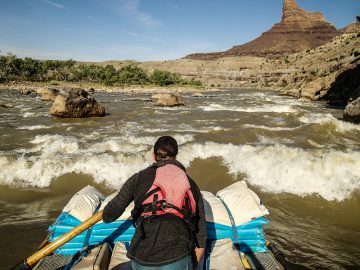 Traveling the backcountry allows backstage access to billion-year-old rocks housing not just fossils but the longest corridor of Fremont Indian petroglyphs in the region. 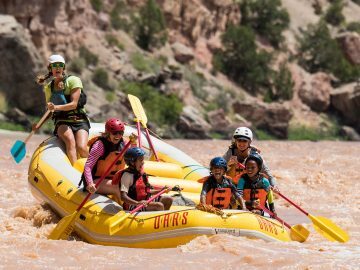 Between scavenger hunts, paleontology, fun hikes and thrilling whitewater, Dinosaur National Monument is perfect for kids! Who knows, by the time you leave you may also be able to remember the names of five dinosaurs…ok, at least three. INSIDER TIP: The Utah Field House of Natural History in Vernal offers an in-depth look at Utah’s prehistory. The museum features the Dinosaur Garden, a “zoo” of full-size replicas including a 20-foot Tyrannosaurus with six-inch, knife-like teeth, a three-horned Triceratops, a six-ton Stegosaurus, a winged Pteranodon and other prehistoric animal replicas.